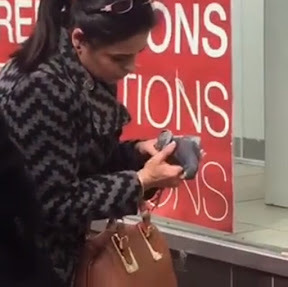 GLASGOW art student Charlotte Flick is cooing for joy after her video of a pigeon getting mouth to mouth resuscitation went viral. 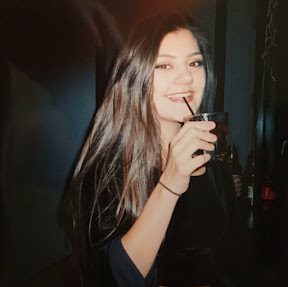 Charlotte, 19, who is originally from Leeds but lives in Glasgow came across the scene as she was walking along the city's Sauchiehall Street. She said: "I was just outside Tesco when I saw a woman stopping in her path to pick up what looked like a dead pigeon. I started filming her because it just looked so weird." Charlotte who says she is scared of birds after a pigeon once flew into her face admitted she was grossed out by the woman blowing into the pigeon's mouth. She said: "The woman in her thirties was blowing from afar and then got closer and closer to its mouth until she was touching its beak with her lips. She tried pumping its chest too before putting it by a tree when she realised it was dead. It was awful but very nice of the lovely lady to try to save the bird. It would have been an Easter miracle if it had worked." Charlotte who is studying at Glasgow school of art and goes under the name charlsarts on Instagram has been inundated with notifications on her phone since she posted the video on Twitter. She said: lt's been amazing and it would be great to know who the woman is. Sadly I walked by the pigeon later in the day and it had been ripped open by seagulls."